Great value. Ideal for groups or a large family! 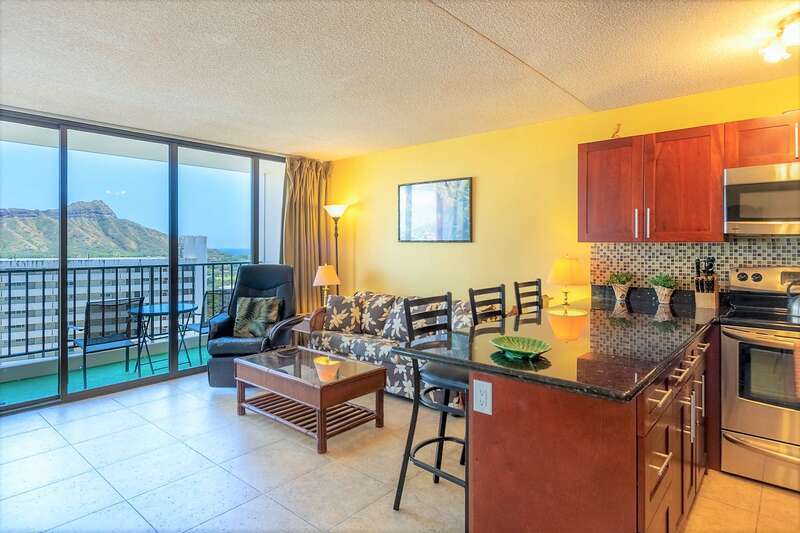 This affordable Waikiki Banyan condo has a beautiful view of the city and Diamond Head, ample sleeping accommodations, and is one block from world famous Waikiki Beach. 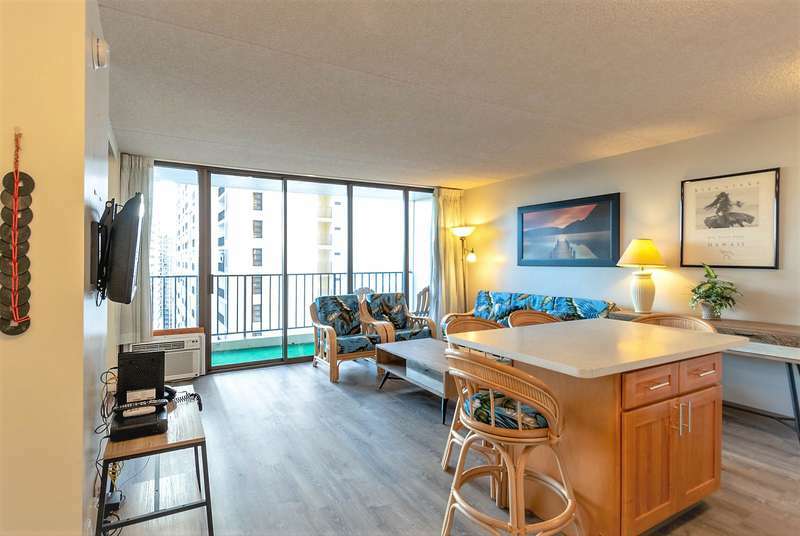 Decorated with bright island-style furnishings and local art, with a library of books on Hawaii and other fun vacation reading. Upgraded carpet and flooring. Enjoy the convenience of preparing your own meals with a fully equipped that includes refrigerator, range, microwave, rice maker, coffee maker, and other kitchen wares. There is a kitchen table with seating for four people to eat and share memories. Comfortable seating arrangement in the living room. 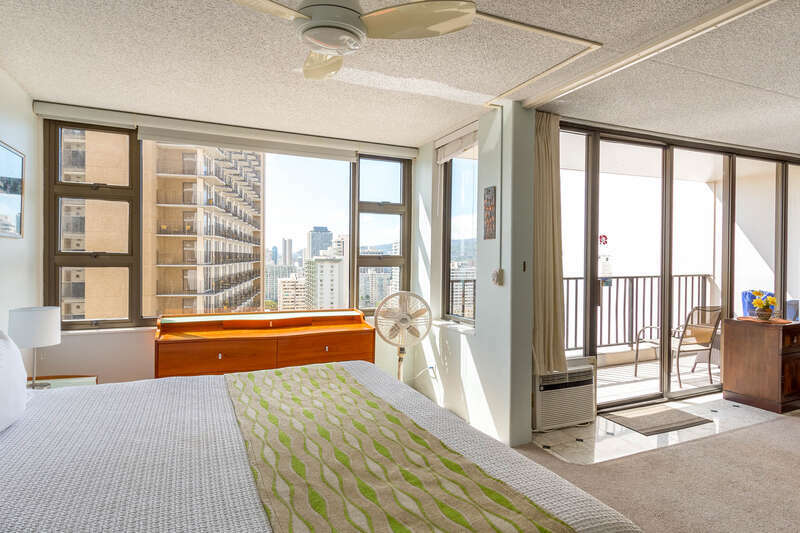 Convenient sleeping arrangements include a queen-sized and full-sized bed in the bedroom. Enjoy greater privacy with two separate doors to the bathroom. There is a hand shower for your comfort and convenience.